Hibs have confirmed the away ticket arrangements for the Scottish Premiership Play-Off Semi-Final First Leg against Queen of the South or Rangers, which will take place on Wednesday 20 May (kick off 7.45pm). Tickets will go on sale at 10am on Monday 18 May. A priority window will be in operation based on loyalty points totals. 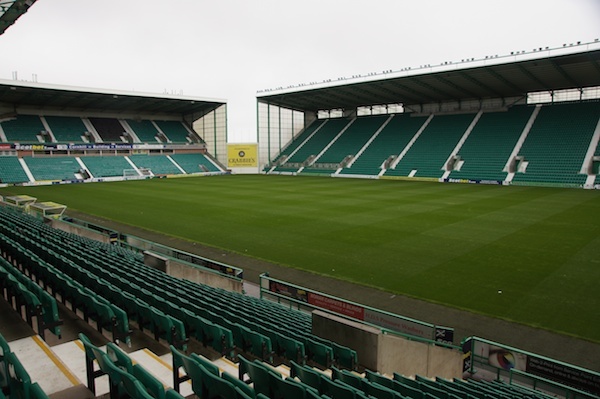 If Queen of the South are the opponents in the play-off semi-final Hibs will be given an allocation of approximately 2,900 tickets for the away fixture. From 10am on Monday 18 May until 10am on Tuesday 19 May tickets will be on sale only to those supporters with 105 points or more, limited to one ticket per person. From 10am on Tuesday 19 May remaining tickets will be on general sale, with no limit on the number of tickets available for each person. Should Rangers progress to the play-off semi-final Hibs will be given an allocation of approximately 950 tickets for Ibrox Stadium. From 10am on Monday 18 May until 10am on Tuesday 19 May tickets will be on sale only to those supporters with 180 points or more, limited to one ticket per person. From 10am on Tuesday 19 May any remaining tickets will be on general sale, again limited to one ticket per person. Regrettably given the limited time available to sell and distribute tickets we will be unable to offer postage, given the risk that tickets would not arrive in time. All tickets purchased online or via the Call Centre therefore must be collected from the Ticket Office before the game.